Best GoFundMe Alternatives: If you are an aspiring businessman and want to raise your own startup then you must be well-acquainted with the term crowd funding. Crowd funding is a method to accumulate money for your business or a particular cause. There are many websites present at today’s market which help the budding entrepreneurs to raise fund for their business so that they can float their boat with that money. 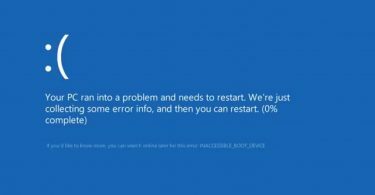 Not only that, fundraising websites also help to search buyers for a particular product and even accumulate money for challenging circumstances, like severe illness or life-threatening accidents. And when we are talking about the fund raising websites, the first name which strikes in our head is of GoFundMe. GoFundMe is undoubtedly the best and most popular fund raising website of the world and has helped millions and millions of people to achieve their dreams. But there are some reputed crowd funding platforms that can easily be GoFundMe Alternatives. Based in San Diego, California, GoFundMe started their journey in May 2010. The duo Brad Damphousse and Andrew Ballester established this crowd funding company and since its inception, GoFundMe has raised more than three billion dollars. apart from collecting money for your business based on the idea, this particular fundraising institution has raised money for celebrations and even for graduations. So if you want to raise money from GoFundMe, you have to describe your fundraising purpose first, along with the amount of money you hope to accumulate. GoFundMe will now set up a website exclusively for your project and will share the link with people through various social media platforms such as Facebook, Twitter and via email. Although GoFundMe is the most popular fundraising website in the world, it is certainly not the only one. There are hundreds of sites like GoFundMe available on the internet which also do the same, raise fund from people for your cause. So in this article, we have shed lights on the best GoFundMe alternatives which can help you to raise money for your noble cause. Established in 2009, Fundly also follows the same working procedure of GoFundMe. That means if you want to raise funds, you have to upload your media, discuss your plans, and share your project via various social media platforms and emails. 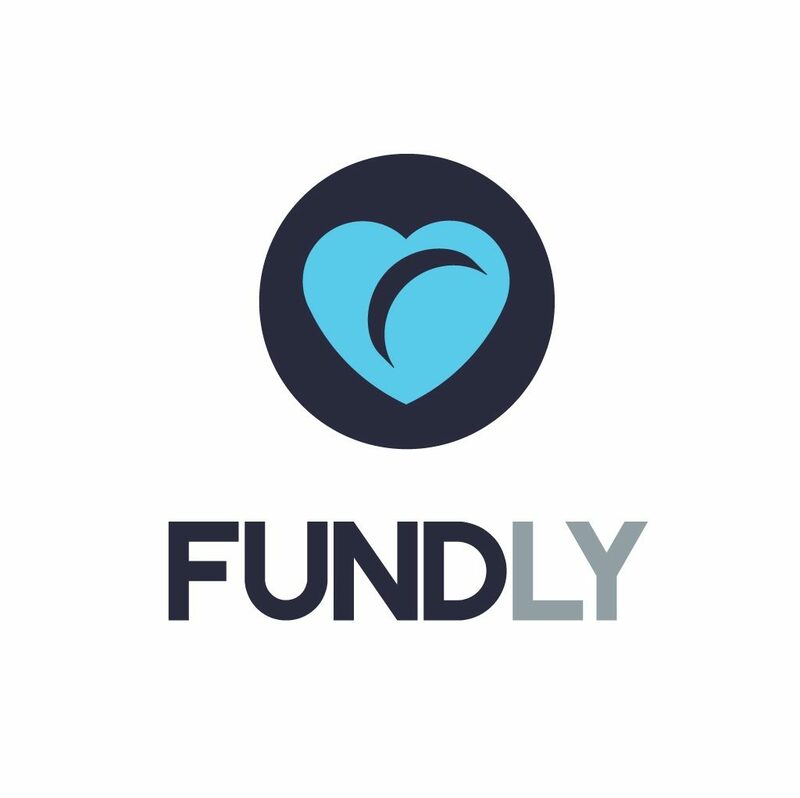 Hailed as “the world’s largest and most widely-adopted social fundraising platform”, Fundly has raised more than $305 million since they started their journey. But there is a fundamental difference between Fundly and GoFundMe. Unlike the latter one, Fundly operates based on the “keep it all” (KiA) model. This working model allows the fundraisers to keep whatever funds they raise irrespective of the fact they meet their goals or not. Another major advantage of the KiA model is that the fundraisers can solely concentrate on spreading awareness for their project, without worrying about the deadline. Fundly lets the fundraisers customize their project according to their choices. That means you can add your custom color, add a logo, background images to make your campaign interesting. Moreover, this fund raising site offers the best customer service in this genre. So whenever you face problems while raising money for your campaign, you can contact the Fundly’s support team and they will fix it instantly. This crowdfunding site charges $30 per transaction as well as 4.9% platform fee and a 2.9% credit card processing fee. Just for the charges, many people avoid this otherwise it has all the feature to be a GoFundMe Alternative. When we are talking about the best substitutes to GoFundMe, we can’t surely ignore Indiegogo. Based on San Fransisco, California, Indiegogo started their operation in 2008 and since then have successfully launched more than 300,000 campaigns. Indiegogo mostly raises money for the entrepreneurial endeavors or the creative projects. So if you can convince them with your idea or meet the site’s goal, then you can sell your product through Indiegogo’s marketplace. Unlike Fundly, this crowd funding site works on the “all or nothing” (AoN) model. That means you will only get the fund for your campaign if you meet the site’s financial goal within a stipulated time span. Like most of the fundraising sites, Indiegogo also lets fundraisers use different social media platforms and tools to boost their campaign. Indiegogo comes with a simple yet professional looking user interface. So it is quite easy to raise fund for an individual for their projects, products or services. Indiegogo also facilitates the fundraisers with a dedicated mobile application. This fundraising website charges 5% as the platform fee and the transaction fees vary from 3% to 5% depending on the payment method. Founded in 2013, Booster is another worthy replacement of GoFundMe and to some extent the unique one among all the crowdfunding sites we have mentioned here. This fundraising website is the nonprofit fundraising division of CustomInk, one of the most popular retail company to design custom apparels such as T-shirts and sweatshirts. 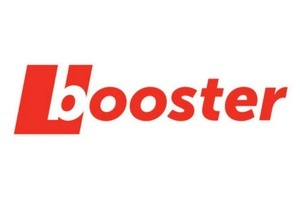 Booster helps to raise fund solely by selling apparels and other merchandise. Another interesting aspect of this crowdfunding platform is that the fundraisers can choose up to five different styled or colored product to raise money for their campaign. Moreover, it is not mandatory for the donors to buy t-shirts or other merchandise to donate money to the cause, they can also make general donations to support the project. As Booster is directly linked with CustomInk, you don’t have to worry about the quality of the merchandise. You can create your own custom-made merchandise solely for your project and the donors can wear it even after your campaign gets over. These standout features make it a GoFundMe Alternative to try out. Booster charges 2.9% as payment processing fee along with the cost of printing the apparels. Apart from money, the fundraisers can also accumulate other items for the project through GiveForward. Like you can make a ‘Wishlists’ of items such as clothing, supplies or diapers, which will help you or the person you are raising fund for. Moreover, the donors can also send “Thinking of You” messages or can organize meal deliveries which will help the fundraiser during the medical emergencies. 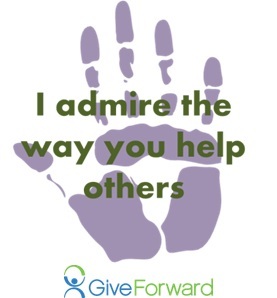 GiveForward comes with the best social interaction tools in the industry. Apart from donating money, donors can send inspirational messages, videos or photos to support the campaign. GiveForward does not charge any platform fee or transaction fee from the fundraisers. So you can get 100% of the funds raised for the campaign. 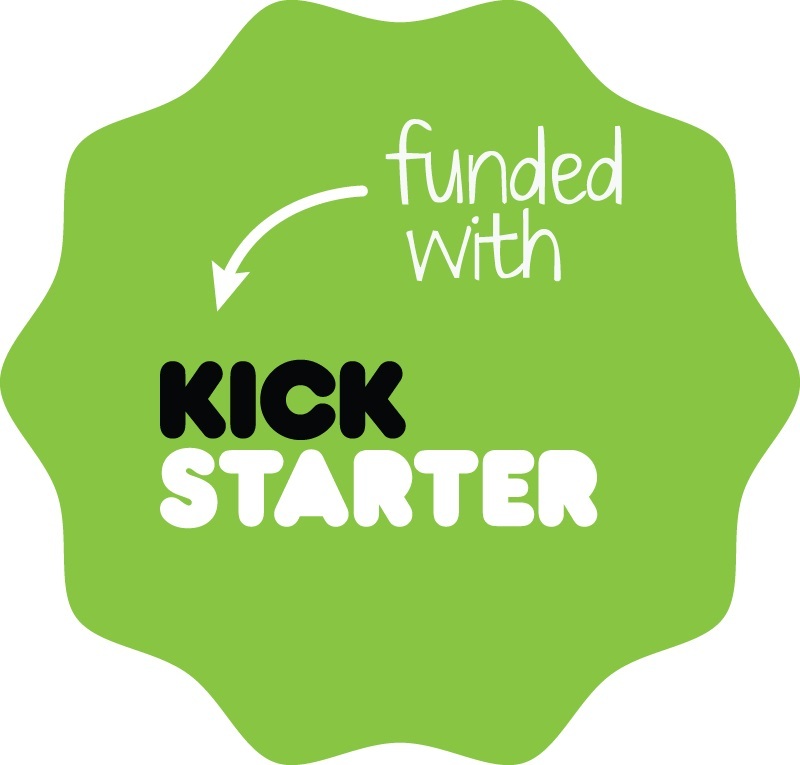 Based in Brooklyn, New York, Kickstarter is another site like GoFundMe which operates globally. Starting their journey in 2009, Kickstarter has raised more than $2 billion and supported over 257,000 creative projects like music, stage shows, films, comics, journalism, technology, fashion design and video games. Just like Fundly, Kickstarter also operates based on the “all or nothing” (AoN) working model. But as it is an international fundraising site, Kickstarter comes with a huge number of followers. This particular crowdfunding site is a dream-come-true platform for mostly the creative people, who are struggling to raise money for their projects. Artists like Marina Abramovic and De La Soul has successfully raised money for their projects through this site and became famous one of the GoFundMe Alternatives instantly. Kickstarter is the only crowdfunding site in this list which operates globally. Just like GoFundMe, Kickstarter also charges 5% for using their platform, that’s too for the completed projects. The processing fee varies from 3% to 5% depending on the payment procedure. GoFundMe is truly a brilliant and reliable crowdfunding site which has helped and still helping millions of people. 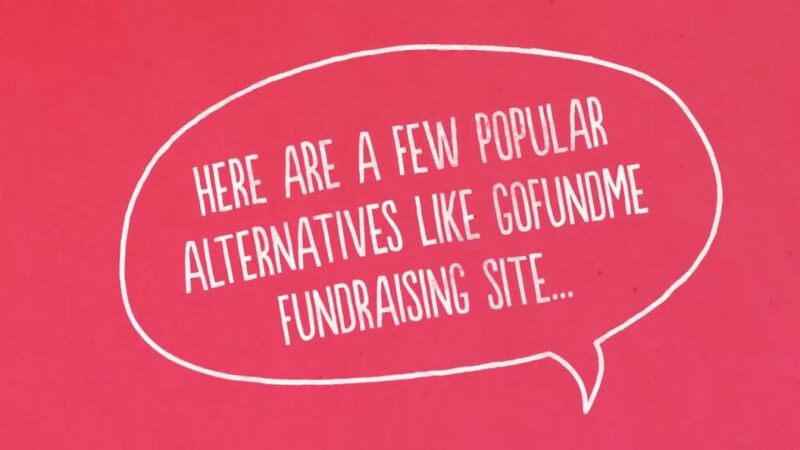 But each fundraising site comes with a different motto and a particular set of targeted fundraisers. 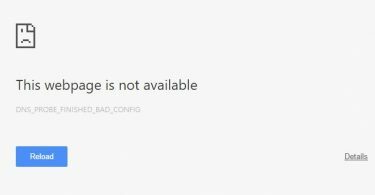 So these alternatives of GoFundMe we have discussed here will surely help you to raise fund for your particular cause. If you have any other fundraising site in your mind from which you have got immense help, feel free to share the name with us. That will enrich our list for sure. Asking questions are actually pleasant thing if you are not understanding anything fully, except this post gives pleasant understanding yet.